CARACAS, Venezuela — U.S. Secretary of State Mike Pompeo has told the Russian foreign minister that Russia’s dispatch of military personnel to Venezuela is increasing tensions there. 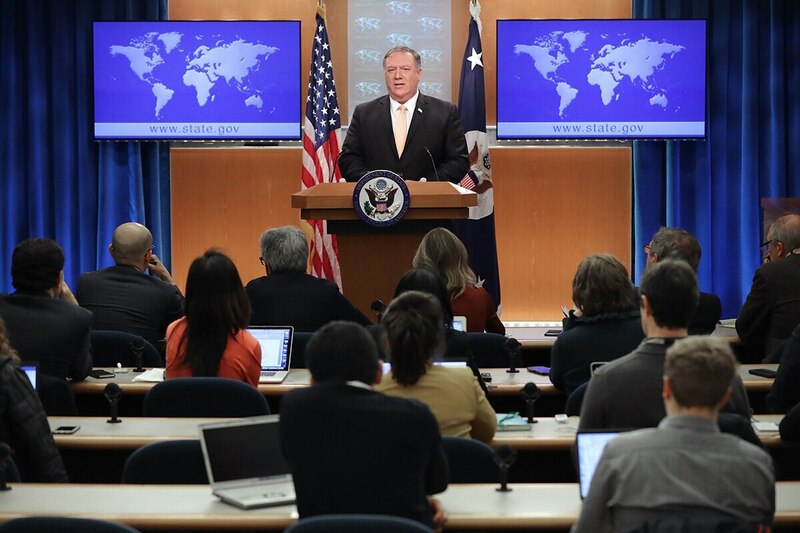 U.S. State Department spokesman Robert Palladino says Pompeo called Foreign Minister Sergei Lavrov on Monday and said “the United States and regional countries will not stand idly by” while Russia takes steps to support its ally, Venezuelan President Nicolas Maduro. The U.S. and dozens of other countries support Venezuelan opposition leader Juan Guaido, who says Maduro’s re-election last year was rigged. Maduro alleges the U.S. and Guaido are plotting a coup.